I really admire Copenhagenize.com and what ever you think about Cycle Chic or Mikael Colville-Andersen himself. You've got to admit, "The Copenhagenize Guide to Liveable Cities", has some great graphics. The two below are my favourites. The simplicity and clarity of these graphics is really apealing, at least to me. More importantly the message is clear and unambiguous. 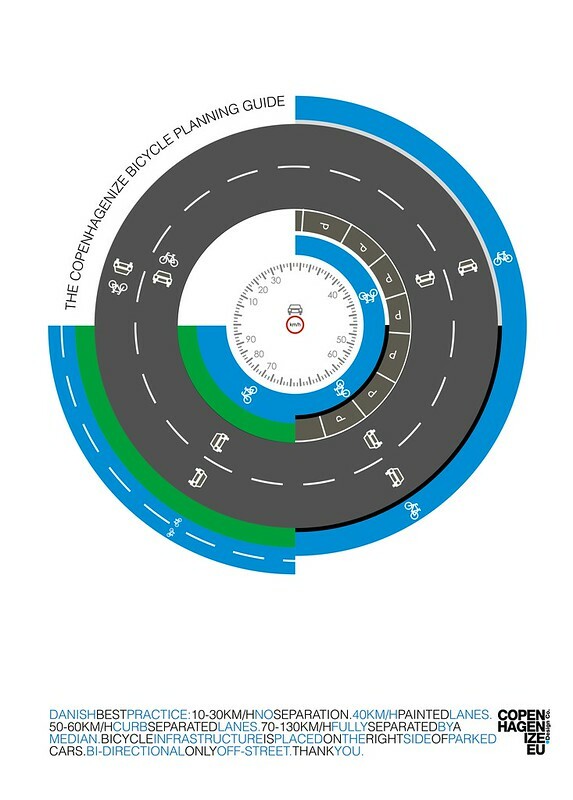 I used the circular "The Copenhagenize Bicycle Planning Guide", in a recent post "Bike Lanes Everywhere!" Where traffic volumes and effective speeds are low, the need for infrastructure is likewise low. As volume or speed increase the need for infrastructure also increases. I framed this as protection from the "confined to" fear of some cyclists. As it stands, Wilbroad's east bound cycling lane is frankly unnecessary. Monk St. is on my regular commuting route. 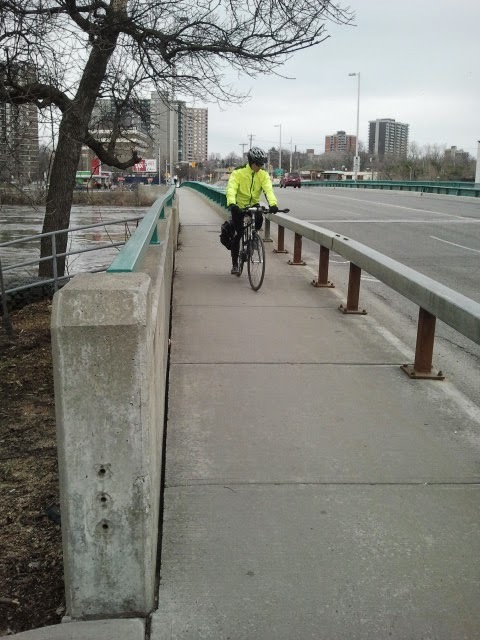 Especially with the construction in-front of Lansdown Park but the bike lane is superfluous, and once Bank St. returns to normal and the construction trucks are not there I will once again continue north to Fifth St. rather then make the awkward left off busy Bank St. onto Wilton Cr. Heading south I never take Monk St. Wilton is actually quite busy, with cars accessing or exiting Queen Elizabeth Drive. 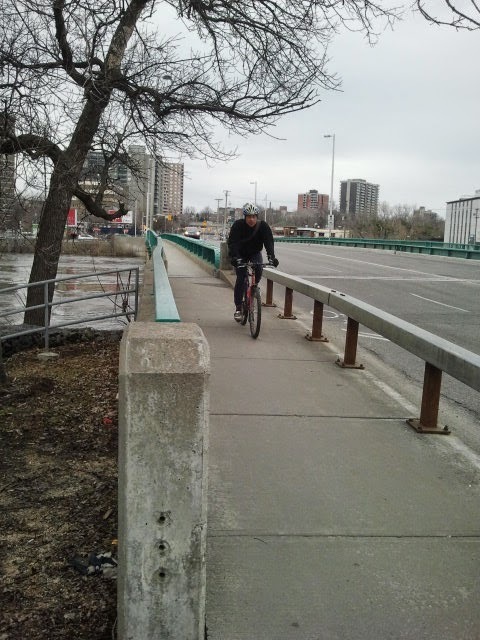 What cyclist wants to come to a full stop before a difficult right and a steep hill over one of the most complained about bridges, in Ottawa. Monk St. is not a south bound route. There are many other examples: Sherwood Drive is trying traffic calming by bike. Sharrows and single file signs to slow cars down. 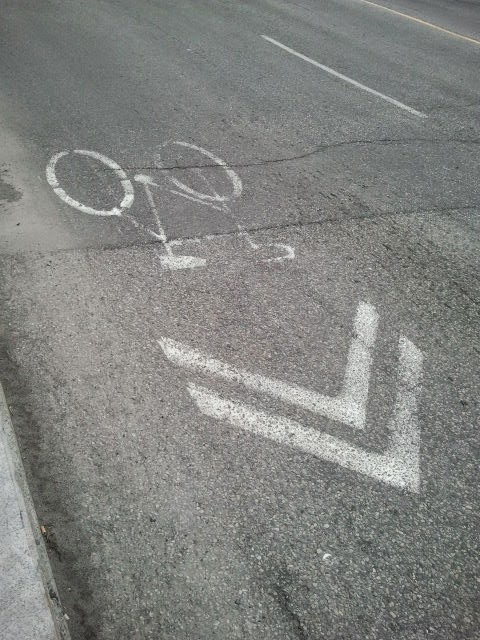 really adds nothing for cyclists. St. Patrick really a continuation of highway 50 and the Vanier Expressway is slatted to get sharrows, this is insultingly inadequate. I strongly believe that all of these complaints could be averted with the adoption of the two posters at the start of the post. I love my bike, cycling makes me happy. I am motivated to choose cycling over driving but I don't always. Driving is a convenience, it is easy. I can guilelessly listen to the radio there is heat/air conditioning... Privileging walking/cycling over private autos is merely levelling the playing field. That is the first poster. Car journeys don't need to be direct or easy, in fact they should be difficult and convoluted. Otherwise, transit, walking or cycling will not appeal to any but a tiny minority. Adhering to the principles in the second poster is vitally important as well. Objective and subjective safety cannot be achieved without appropriate, consistent infrastructure where required and recognition of where it is not. A dense, comprehensive and complete cycling network is key to getting people to chose to cycle. Knowing where to concentrate efforts is how we get from here, to there.